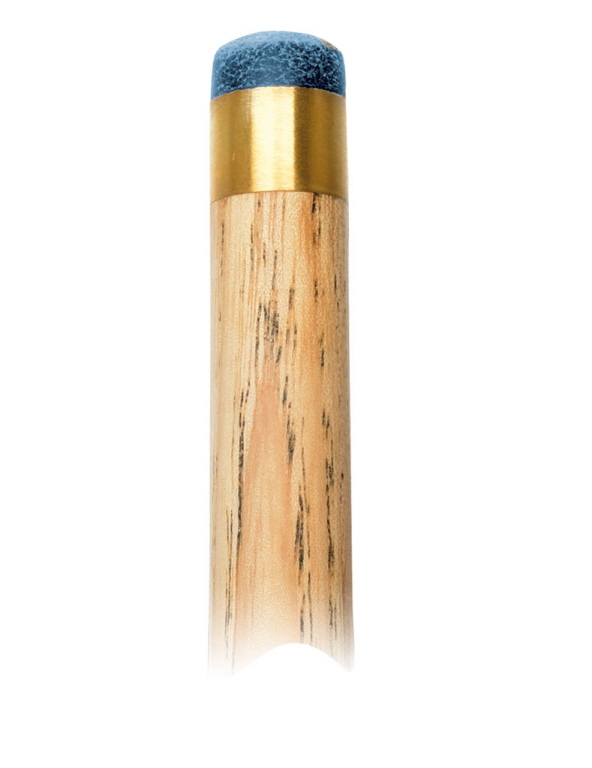 One-piece Snooker cue brand Marathon®, the shaft is made of selected North American ash wood, kiln-dried and beautifully grained, professionally spliced 4 prongs with the forearm, made of exotic wood. Finely worked in veneers, yellow stained, completed by the traditional end plate of maple wood with hot stamped trademark complete this masterpiece. The finish of wood surface is natural, only sanded and polished and gives this cue a noble dull shine. For protection, the cue has a screwed rubber bumper at the bottom. The Ø 10 mm brass ferrule is equipped with a medium soft buffalo leather tip.